Enjoy the sounds of live music and step aboard for a journey back to the Jazz era. Allow your senses to take you back in time with the sights of our 1920s styled New England Yacht. Experience the melodious jazz music, presented by the Benjamin Young Quartet: a young, talented, up-and-coming, group of Jazz musicians from the Berklee School of Music. 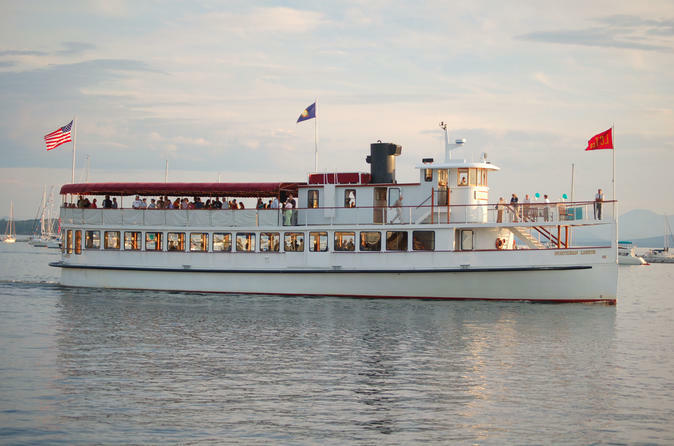 Cruise through the harbor enjoying the City Lights as they dazzle on the waters of Boston Harbor, grab a glass of champagne or a mixed drink from the bar and dance on this one of a kind cruise. Drinks are available for purchase by credit card only. This is the perfect date night cruise or outing with a group of friends. Let the sounds of the Benjamin Young Trio take you into the night.